In this month, the community has an annual recognition of the importance of vaccination and what perfect timing because IT'S BACK TO SCHOOL! Well, not for me but for millions of other students across our country. Now more than ever, it is an important time for students to get vaccinated primarily because when we're in school, we're in close contact with many people. Students are sneezing, coughing, sharing drinks and so much more when it comes to sharing germs. Honestly, every year when I would get to my desk, I would look at it and say to myself, "This is the place where I'll learn, take tests, struggle, and even be sick." Getting sick is inevitable but it's our duty to take care of ourselves. We do this by taking medicine when we do feel down, but as a better step to prevent certain sicknesses from happening, we get shots from our doctors! I know, Ouch! But for a small moment, we experience a pinch and in that pinch is all of this medicine to make our bodies stronger and helps protect us from potentially dangerous outside pathogens seeping into our bloodstream. By getting these shots, we are making our bodies become into shields that help protect against bad bacteria. When we do this, we are able to stay in school without worry of being sick from preventable diseases. It's also important to be vaccinated because when we protect our bodies, we are protecting the people around us. If we're not shielded/vaccinated, our bodies can become homes to certain disease and then we can pass it to others. And that's a responsibility that no one wants. I encourage everyone to be protected, so please seek out to your primary care health physician and ask if you're up to date on your mandatory vaccinations and seek out protection for vaccines that are also recommended. To get all of your shots at once is completely safe. For me, I'd like to get them all done at once so I don't have to come back to do the rest. One of my oldest family friends has CF - cystic fibrosis. It's a genetic disease that causes lung infections, limiting breathing, and eventually leads to respiratory failure. On her 11th hour, she found an organ donor which saved her life. However, she still has CF in her body but with her new lungs, she is able to do so much more, like playing with her son. With this being said, she is immune compromised, meaning she can't receive certain vaccines due to her immunity and without certain shots, she's at risk of catching other diseases. She's a scenario where she can't receive vaccines even if she wanted to. Being in this situation, everyone around her needs to be vaccinated otherwise there's a dangerous chance she can loose a battle to certain diseases. So if her young son brings a friend over, that's not vaccinated, is a carrier of a disease, passes it to my friend who is immune compromised, she could possibly loose her life if she caught a disease. When I say vaccination is a community effort, I mean by getting vaccinated not only are we protecting ourselves, we are also protecting the people around us who can't protect themselves. Please get vaccinated to help protect people who can't protect themselves, just like my friend with CF. An evening filled with old and new friends and even some karaoke! Through the sharing of member stories, ideas, and information and resources, our conference delegates were able to discover new ways to develop both their own organisations and regions. We opened the Global Conference with introductions from each organisation. Hearing from so many people reminded us of how indiscriminate meningitis is; from taking the lives of young children in Peru, South Africa and France, to leaving teenagers severely disabled in America and South Korea, we listened to our delegates share their accounts of how meningitis has affected, and continues to affect, their lives. Our final session was an opportunity for members to feedback on what the key challenges are in their regions and how they can work together to strengthen campaigns, and how CoMO can best support these activities. It is in sessions such as these that new areas for collaboration are identified and common themes are discovered. Although our time together was short, we identified key priorities and goals that will enable CoMO to empower both our members and regions, and I believe that we are all now more inspired, united and ready to reduce the impact and incidence of meningitis worldwide. August is Immunization awareness month! Hello Good Morning, Good Afternoon, or even good Evening!! Doctors were telling me that they don’t know how my wounds are going to heal, they weren’t sure if my organs would function again. There was so much worry put on top of whatever little hope we had. But somehow during this overbearing information, I was optimistic! I don’t know how and I don’t know why! During my first few weeks of my hospital stay, my limbs were decaying and the necrosis skin was taking over my legs and my arms but I knew I needed to get out and get on with my life. I was half alive and half dead, but I was eager to move on. The doctor would come in and say “we’re going to amputate officially,” and my response was “let’s do it! I have school to get back to and tests to take!” I wanted to keep pushing. At a different point, the doctor took a knife and dug into my leg and cut off the side of my hand. He did this to show me that it was dead tissue. The inside was yellow and there was absolutely no blood. The bizarre fact was that it didn’t even hurt when it was happening. I went from dancing my face off at Austin City Music Festival and then a month later, I was in the hospital not knowing what my future would be like or if I would survive. Life is filled with hurdles. It’s how you survive and strive to move forward that makes the difference. Easier said than done, I know. It was a long battle of denial but at my 5-month mark, it hit me. It was a month or two after my amputations, and I was completely bandaged up. My hands were covered, my new legs were wrapped all the way up to my underwear. I haven’t scratched anything, I hadn’t been able to move (couldn’t even roll to my side on my own), I was completely dependent on others, I was starting to lose my hair due to my lack in protein levels, and it all hit me. I was defeated. I was throwing my blanket and pillows around with what little energy I had, and started to cry/scream, saying “Why me!?!! God, why did this happen to me! !” I didn’t deserve this. I was a good person (still am), never caused harm, hated bullies but now I sit in a room where I had been for months and when I thought things would have already progressed, it was only getting worse. When I had, other amputees come to meet me, they would say, “it will get better.” Very hard information to take in after so many months of frustration. However, they were right. It did get better. Due time, my protein levels came back, my organs gained full function, I was gaining strength and could sit up in my bed for the first in my entire 7-month hospital stay… finally without anyone’s help pushing me up. It was a long battle and as I was leaving the hospital, I thought “it’s finally over,” but it was only the beginning. Life can be a beautiful thing but it can also be complicated within it's beauty. Life needs to be filled with learned mistakes, and heartache. Life can’t be all daisies and sunshine, otherwise we don’t become the strong people we are today. When you’re at an impasse, take a breath, accept it and learn to get around it. Accepting the challenge is the hardest part. It’s our job as individuals to take hold of what life we have and make it better for ourselves. Make the decision today to make a difference and seek greater opportunities for yourself. Do it, because you can. This month is immunization awareness month so I thought I would share the facts on meningitis. There are two different vaccines that work together to fight against meningitis. The first vaccine fights off strains A,C,W, &Y and you’re supposed to get that primary dose at ages 11-12 and the booster at ages 16-18. However, only 30% of people who are receiving their primary vaccine, are getting that booster. Very scary info! Please call your doctor to make sure you received the booster because once you go to college, you’re at the greatest risk for catching meningitis so please make sure you’re protected prior to enrolling. I was that person. Please learn from my mistake. The strain of meningitis that I caught was “C,” and it could have been prevented if I got that shot before going to college. This vaccine has been available since 2005. The second and newest vaccine protects against meningitis “B” and a third of meningitis cases are B strains. This second vaccine was made recently in 2014. ACIP(Advisory Committee on Immunization Practices) says for you to take the meningitis B vaccine before college but if you have a child going to camp, I highly encouraged that your child gets both vaccines (A,C,W,Y & B) before your child is in an environment where germs are being spread rapidly. Don’t risk your life or your child’s life by not receiving the vaccines. It’s not about the individual receiving the vaccine, it’s about how they’re now protected and that they’re providing a healthier community. If your child isn’t vaccinated, your child is at risk of catching a disease and is also at risk of spreading the disease to other people. This can be vital in a scenario where a child is immune compromised and can’t receive vaccines because of their delicate state. And if the unvaccinated child plays around with someone who is immune compromised, you’re putting that child’s health at risk. Vaccinating isn’t a self-choice, it’s a community choice. Please prevent what’s preventable, create a stronger and healthier community, and please, get vaccinated. On April 24th it’s World Meningitis Day! It’s an important day to bring awareness of meningitis as a global effort. People all over the world are sharing stories of their experience, loved ones they’ve lost, and how we can learn from our experience to spread awareness of the preventable disease. To some meningitis is only known as a vaccine that is suggested at their doctors office or sometimes it’s mandatory for students to receive it. A lot of the time, people are unaware of this disease and what it could lead to. I was that person. As an adolescent, I remember camp asking about certain vaccines that I would have to get before attending and meningitis was one of them. The meningitis vaccine weans after 5 years so when I was attending college, I was left unprotected. In college, you’re more likely to spread germs and bacteria due to our social interactions with one another. From coughing, kissing, sharing drinks, chap sticks, cigarettes, not washing hands etc.! Believe it or not parents, this occurs in children and young adolescents and if their left unvaccinated then there’s a chance that they could catch this disease! “But what if I choose to not have my child injected with vaccines?” I can identify a couple reasons why that can be controversial. First off, leaving your child unprotected is another attempt at Russian roulette with your child’s life. You don’t want to be setting funeral plans because you didn’t accept the vaccination. I have met families that have been in this position. At your doctor’s office when it is suggested, please demand for the two different vaccines that work together to fight off meningitis – the A, C, W, Y vaccine and the B vaccine. When you’re at your doctor’s office and they don’t suggest it, please ask about the vaccines that your children are suggested to have and demand to receive them. I walked into college campus, unvaccinated, and I was at a higher risk of catching the disease and I didn’t know it. I had a 20% chance of survival, the doctor told me. I am grateful to see where I am now; Sharing my story, spreading the potential terrors of contracting this disease. I just want everyone to know what I know now. I saw my limbs decay right in front of me within a few short days, and I was incapable of moving on my own until I was leaving the hospital 7 months later. It’s was a horrific experience. I saw my hands turn into mittens and I had to learn how to use them. From using utensils to eat and to write, to putting on clothes, opening things, and even picking up items. They all proved to be difficult. After my amputations, I saw my bones extending out from where my fingers were, I felt the pain and adjustments from being amputated. I wouldn’t move an inch and it felt horrible. And I was told to live my life again. ‘Ummm how am I suppose to do that?” I thought. Living life as a disable citizen definitely has ups and downs. I currently live my life to the fullest. My friends, family, and myself don’t see me as someone who is “handicapped.” Today I can open and utilize objects fluidly. Yes, I may do it differently or ask for assistance, but I feel no different from the average person most of the time. My never-giving-up mentality held up strong because of the tough love I received. There were plenty of times that I didn’t want to do my physical therapy or go to school, but knew I needed to do it to become independent again. I felt embarrassed and unacquainted to my new stigma life. It was hard to blend in with society at first but now life is great and I have fun everywhere I go. Sounds cliché, I know. Looking back, I still can’t believe that I went through everything that I did, and I am glad to have survived. It was a roller coaster of emotions and physical strength but I was able to come out on top as a meningitis survivor and so much more. Looking into the future, I feel confident with where my life is going. Did you know I got engaged this year? We’re also building house!? At times I find myself in doubt that I’m at this stage in my life but here I am, and hear me roar! I am grateful for the life I am in and that I get to lead on my own and with my love beside me. Meningitis almost took me down and took me away from all of these possibilities. I know I lost my limbs to this disease and I will always have health issues that revolve around this, but I am glad to be a survivor and to tell my story. Don’t let the decision to be unvaccinated to take this all away from you or someone you love. Everyone deserves a great life and I am glad that I am able to live it. But I was lucky. Picture from Christmas 2016 - a week or so before he proposed. Wow! What an amazing summer it has been! A lot of traveling and sharing my story across the country. It all began in New York where I attended the National Meningitis Association(NMA) Gala on GlaxoSmithKline’s behalf. I’ve been many times before, and always love going back to see familiar faces. When I got sick with meningitis back in 2008, NMA reached out to me and my family, and I am so glad that they did because I was able to realize that I was not alone. Through the NMA, I was able to meet so many other survivors and also parents without their survivors. Definitely bitter sweet but we were able to come together and discuss the importance of vaccinating against meningitis. Being back at the Gala, the discussion was similar but even more strong than before. Doctors, survivors and families, pharmaceutical reps and many more supporters were there all hoping to give kids a shot to protect themselves from meningitis. Of course, the Gala was exquisite with excellent food, wonderful people, and entertaining music. I love attending and I look forward to the following year. To support the NMA please check out their page or website at NMAUS.org. They have really done so much for the community and I am very proud to be a part of theirs. The summer proceeded with more awareness of meningitis through speaking to different audiences, through media such as journalism, TV interviews, radio, or public speaking. I found myself in Los Angeles, Savannah, Atlanta, Denver, Nashville, and also all over central Texas. With another summer coming to an end, I always find it important to share the fact that college students are at a greater risk of catching the disease and in order to make sure you have a safe time without meningitis, please make sure you speak to your doctor about the two different vaccines that work together to fight against the 5 main serogroups of meningitis. I don’t want anyone to go through what I did. What I experienced was a nightmare that I couldn’t wake up from. Luckily, I survived. 1 out of 10 who catch this disease will die, and out of those who survive, 1 out of 5 will have long term consequences (Blindness, deafness, internal organ failures, amputations, scarring). I am part of that statistic. I survived and now live life as an amputee. I got sick while I was thriving at school here in Austin at the University, and by the time the school year was ending, I was learning how to walk with prosthetics. Make sure your child, or you as the student, are doing what they can to help protect themselves. Let me be the lesson for you, and make sure you get vaccinated. Small lesson first on the vaccines that are available... The CDC’s Advisory Committee on Immunization Practices (ACIP) have recommended to help protect adolescents, teens, and young adults from Meningitis. Currently, there are two different types of vaccinations that work together to help protect against the 5-vaccine preventable serogroups of Meningitis (A, B, C, W, & Y). The first vaccine, that fights against A, C, W, & Y, is given at ages 11-12 and the booster vaccine is administered at ages 16-18. It’s important to note that the booster is just as essential as the primary dose, however, only 30% of those who have received their primary dose, have had their booster as well. Make sure to get the booster at ages 16-18 to fight against A, C, W & Y groups of Meningitis. While the first vaccination has been around since 2005, the second vaccine (Meningitis B) has only been around since late 2014. ACIP recommends that adolescents and young adults aged 16-23 years may be vaccinated with serogroup B meningococcal (MenB). I want everyone to enjoy their lives and to feel invincible, so please talk to your doctor today about getting both vaccines to fight against meningitis. World Meningitis Day, April 24th! Another exciting month has gone by, and I definitely need to share it! Every year in Austin, the city welcomes the international festival for interactive media, film, and music known as South by Southwest and this year I was a part of it! I have been attending the festival ever since I was 21 and now on my seventh year, I was able to share my story with people from all of the world. It took place on the first Friday of the festival. I was presenting with Moncef Slaoui from London part of GSK's chairman of vaccines, proctored by Sree Sreenivasan, chief digital officer of The Metropolitan Museum of Art and technology journalist. Of course we spoke about the importance of vaccines, especially with my personal encounter with a vaccine preventable disease, but also shared Moncef's history with company. He's been working with GSK for a couple of decades (I believe), and was mentioning how he played part in the making of the malaria vaccine. Vaccines are medical innovations that protect our communities. I hope no one takes these medical miracles for granted. If I knew about the meningitis vaccine before contracting the disease, I would have been proactive in protecting myself from this terrible disease. The SXSW event was a huge success! The room was filled with people peering and standing over each other to see us speaking. Shortly after the engagement, Sree introduced me to Facebook Live which is a live news feed from a phone and Sree wanted to share my story with his thousands of followers. Needless to say, I had a lot of Facebook friend requests afterward. Being on the set with Anne was amazing, and great to see her husband Kel and daughter Steph again. Such a phenomenal family. What made this shoot completely different from the previous was that I was going to be working with babies. Which is what Anne Geddes is known for!? So I was excited to see the master at work! She was like the baby whisperer. I was there, ready on set with makeup and wardrobe. All that was needed was the baby, and then Mother Teresa, Anne Geddes, turned the corner and there was the baby in her arms, being oh so quiet. I was a bit nervous, but more excited to be holding a 3-week old baby! The baby's name was Sienna and she was beautiful! It was important to be patient on a shoot like this, and with time we got the perfect shot! I can’t wait to see the final product! Stay posted to see the final result! The next day, I was lined up for a handful of hours for media training because the next day I had a Satellite Media Tour with 26 interviews over 7 hours. The long day awaited. A SMT is basically interviews conducted in a studio that gets broadcasted from all over the world – some were taped, some radio, and some were live TV! I was doing all of my interviews with Dr. Leonard Friedland who is the Vice President, Director Scientific Affairs and Public Health, Vaccines North America at GSK. He’s a wonderful person and I feel so lucky to have been working by his side. He is filled with knowledge and if you have any questions about meningitis you can email him at Leonard.r.friedland@gsk.com. In the end, the SMT was another huge success! World Meningitis Day was this past Sunday and it really was one of the more proud events that I’ve been a part of. It was called the “Hour of Power” a rowing/cycling event held in Philadelphia, PA. The event collaborated with college student there in Philly, to form groups to pedal or row through an “hour of power” to raise awareness of meningococcal disease among students and athletes. It was an event like no other! I do share my messages on my story a lot, all mainly formal events but this hour of power event was energy filled! After Dr. Friedland and I spoke about the importance of educating about the disease, it was all shouting team work! I was part of a team of 4 other ladies from Gamma Phi Betta along side with Dr. Friedland and we definitely powered that hour! The event was tremendous and used the hashtag #winformeningitis ! By the end of the event, everyone was shouting Win For Meningitis! The event was hugely successful and it has me thinking about next year already! With our Power Hour cycling team! February has been a good month for The J.A.M.I.E. Group and different efforts in meningitis advocacy. On February 13th, our nonprofit held a fundraiser at Austin Beerworks and raised over $12,000 ($2k over our goal!) for meningitis awareness and prevention. It was a huge success! As we pulled up to the brewery, it was midday and it was already packed! ABW provided a tent for us, and we provided a bunch of items to bid on. A special thanks to all of the Austin local business that donated towards our cause, especially Austin Beerworks. The success of the event wouldn’t have happened if it wasn’t for them, and for that we are grateful. The revenue that has been generated will help our efforts to prevent meningitis in any way. This month, we’ll be working hard on updating educational tools and also, we will be solidifying details on a potential vaccine clinic for meningitis vaccinations for the summer by the end of the month. Definitely stay tuned for those details. Our Tent and all of our donated items underneath. As of this past month, I have signed a contract with GlaxoSmithKline, a global pharmaceutical company, and one of the main vaccines that they distribute are the meningitis vaccines. A week ago, the company flew my sister and I out to London. There, we were able to experience the beautiful side of London, and it was my first time being there! We had a blast doing all of the tourist activities, but I had a better time visiting and meeting all of the people from GSK. I met so many vital people to company, such as the person who actually created the meningitis B vaccine (Meningitis has 5 main serogroups, 4 out of the 5 have been covered for a decade with a vaccine, except for the serogroup meningitis B – this is new), the people who move and distribute the vaccines all over the world, and more importantly, the chairman of vaccines at GSK Moncef Slaoui. In London, GSK held a multiday convention for numerous GSK employees from all over the world; From Argentina, Italy, Belgium, Greece, Canada, South Africa, and many many more. On their final day, I was able to share my story on how I survived a vaccine preventable disease. On the stage with me was Moncef. We were both seated toward the 300+ audience and Moncef did a motivational interview of me in front everyone. I have to admit that it was my first time in a while that I got nervous. Despite the nerves, I believe I executed my presentation and received a standing ovation. In March, South by Southwest takes over Austin for a 10-day international festival that covers interactive media, music, and film and this year I will be apart of it with GSK! I never thought I would be involved with such an organization, and I’m excited to present. I’ll be at the JW Marriott on March 11th from 6-8pm this Friday. While I know badge holders will be the only ones that are able to be admitted, I highly encourage those that have them to stop by and enjoy. Lots of moving pieces are occurring, but so is this movement in meningitis advocacy. Be sure to check out my photos from the fundraiser and London on our photos page. Hello followers and good day! As many of you know, I am doing my best to apply myself to promote any educational awareness on meningitis, and last week did not fall short of that. I was off to New York on Monday and on that day I had some media training, followed by an interview the next day with New York 1! All week, I was paired with the brilliant dr. Friedland. He has made large strides in the medical world, and has a centralized focus on preventable disease through vaccination. I don't think I could've asked for a better pairing. The next day, Dr. Friedland and I headed to Fox News in Manhattan to have an interview with Dr. Manny on health. He was a very pleasant man to have an interview with, and I definitely know that Dr. Friedland and I got our message out. We are very happy to know that this message has gone nationwide. If you haven't seen it yet, please go to our press section on our website to see the whole clip itself. Right after that, we headed to Chelsea for the Soho House where the blogger summit was being held. I was asked, along with Dr. Friedland, to participate, if not lead, a conversation amongst other bloggers who share the same goals: prevent meningitis. 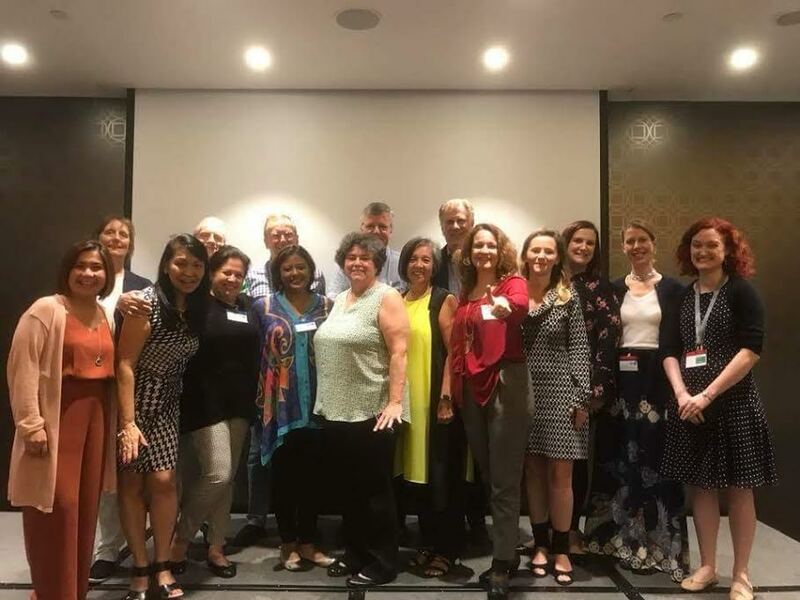 At the blogger summit, GSK leaders, bloggers, and other patient advocates were all participating in a roundtable discussion on how to raise awareness and vaccination rates, especially with Meningitis B. With the time being winter break, I encourage all parents to talk to their children when they come home to be proactive in meningitis prevention. Parents and students, please start having the discussion with your health care provider on how to receive both vaccines to prevent the five main serogroups of meningitis. It was an excellent rally, as we saw many people come together to discuss how we could spread the message even more. As far as my concern goes, I got some helpful input from Alicia Stillman(she lost her daughter recently to meningitis) on how to approach our state and county offices in pushing for the meningitis B vaccine availability among all clinics in our state/county because currently, not all offices have it stocked. If you went to your health offices to get the meningitis B vaccine and they don't have it, please send me a message and I'll be sure that your doctor's office will have it in house. If there was one new message that I learned and want to share, it's that there are two new vaccines to cover the five main groups of meningitis. That is very new, because we have had a vaccine that covered the A, C, Y, and W serogroups but not B. You might've heard more about meningitis B recently in the past couple years, because there have been outbreaks on college campuses across the United States resulting from not being vaccinated against meningitis B. However, the vaccine for meningitis B wasn't available until this year. Which is why it is so exciting to know that all of the five main groups are now covered by two vaccines. Here in the state of Texas, I passed a law that made it mandatory for all college students in the state Texas to be vaccinated from meningitis. This law that was passed and then amended in 2011, secures vaccination of A, C, W, and Y meningitis for the students. When legislation comes back around, you better believe I'll be at the forefront testifying for the second vaccination that is now available. There is no need to go through meningitis. I was in the hospital for 7 months. Please let me be the learned experience, so that no one else can endure the pain that I did. The blogger summit in New York was fantastic, brought positive results, and has really inspired me to advocate in different ways. In the next coming weeks, I plan to update my website, send personally letters to friends and family that have been my greatest followers, and I plan to start a making of a great fundraiser. Nothing official yet, but I do plan to have the answers in the next couple of weeks. Stay tuned and thanks for following. Happy holidays everyone! December really snuck up on us this year, at least for me! I always found December to be the Friday of Months. Enjoy! Merry christmas and Happy New Year! Hello 2016! It's going to be a good year everybody. That was the day when my life changed forever. Being in the hospital was like a prison for me. Unlike the other patients, I didn’t have the freedom to walk down the halls during my free time. My legs and hands were decaying, I could barely sit up on my own or even lift my arms over my head. I had to stay, and suffer from my battle of meningitis, like this for seven months. Within my hospital stay, I endured amputations as well. I was 20 years old when all of this happened - a sophomore at the University of Texas at Austin. When I first stepped onto campus that year, I didn’t know my life would be like that. I didn’t know that not only was I going to go to school for an education, but I would also go through rehab/physical therapy to walk on prosthetic legs while attending. Going back to school after being sick was a challenge. Not only did I feel like I wasn’t ready for a classroom setting, I wasn’t even comfortable in my own skin. Quite shortly after that, all of that changed and my self confidence came back. In the duration of the hospital and months following, my family and I ended up passing a bill in Texas to protect students from meningitis through vaccination requirements, and I also simultaneously participated in a cycling opportunity that lead me to Guadalajara for the Para Pan American games in 2011 with the USA Paralympic Cycling team. This all occurred while attending the university and within three years from being initially sick. When I was competing in the games, I could not believe that my life made a turn for this. I currently have medals in my closet and laws in my name. Life is good. My life now is more fulfilling than it ever has been. From meeting parents, athletes, other meningitis survivors, patients in the hospitals, musical artists, other celebrities, philanthropists, and more, my life has lead me to where it is today and it’s my job as an advocate to share my story and protect as many people as I can. Through this law, the Jamie Schanbaum and Nicolis Williams Act(amended in 2011), I am able to vaccinate and protect around 400,000 students in the state of Texas from contracting a truly devastating disease. One day I was fine, studying for exams, the next day I am making serious life sensitive decisions for myself. Meningitis isn't something you cure, it's something to prevent - it typical kills within 24 hours. I was admitted into the hospital within 14 hours of my first symptom. I had a 10% of survival and I wasn’t vaccinated. I was very lucky to survive. If I was vaccinated, all of this would have been prevented. But as my hispanic grandmother has said many times, there was a reason to why I got sick and I believe her now. I wouldn’t change anything. Since I graduated, I am still pursuing advocacy and currently work for different companies that hire me. I’m also an advocate for my non-profit the J.A.M.I.E. Group that focuses on educating the public on the important matters of meningitis. Voices reached out to me earlier in the year and before I knew it, I was on set for the PSA in Los Angeles. My mother and I were picked up from the airport and headed directly to the set! It was going to be a long day for me since I took an early flight from New York with the expectancy of working into the wee hours of the night. The production was set on a high school (where 90210 is filmed), which was actually taking place that day and would literally see students walking around as the PSA was being conducted. I had the comfortable experience of having my own trailer and wardrobe to choose from! The selection was vast which surprised me because it’s for a PSA, but hey, everyone likes options, right!? I met with the whole Public Relations crew, director, makeup artist, wardrobe stylist, and then of course Lucy. As I walked in to her trailer, I was excited to meet someone that’s in the public eye and has a huge following of loyal fans, like her. Of course, she’s welcoming, joyful, beautiful, but more excitingly, she was very interested in meeting me. I actually saw very similar personalities between us when we first met. We’re both relaxed and open minded, while we also have a hint of sarcasm. Haha. We communicated before and this was our first time meeting in-person. It was an honor to meet and to work with her. I’m so appreciative of her being apart of the PSA; the majority of her fans are teens, which is the exact demographic we are trying to reach for meningitis awareness. The campaign is not only to raise awareness but also to make sure people know that barely 30% of teens getting the first vaccine at ages 11-12 are getting their booster at ages 16-17 before entering college. Like me, I did not receive that booster vaccine and now I live with those consequences everyday. That production day went smoothly. After finding shoes and the right outfit (handpicked by director), I was in the gym reiterating my lines in front of a camera with a whole stage crew behind it. I’m talking 30-45 people on set, each one of them having a very important role… even my mother. Then I, the advocate, was on set with Lucy, the professional actor. I felt confident but after our first few lines on camera were exchanged, I saw that I lacked in acting. Haha. Duh! It came to me, “I’ve never done this before.” I didn’t get nervous or anything like that, but I definitely did put a little more pressure on myself to do what I can at the best of my ability. After a couple of takes, Lucy finally stumbled! I thought to myself, “yes! She has flaws. “ And surprisingly felt more comfortable after that? In the end, I guess that’s normal to like someone who has flaws because it shows that people are human. Obviously she’s human, I could tell when we first met! But after seeing that she can mess up, I felt more comfortable and was able to produce something more efficient for the camera. And of course, that might have been her only time tripping over some words. Besides that, it was a lovely time working with everyone, and fun to see how all of that production is done and later on completed. A week or so later, I was meeting Lucy and the Public Relations crew in New York City at the hotel for a day of interviews. As the interviews came in, I became compelled to hear Lucy’s responses to questions because interviewing can be an art form. Knowing how to say certain answers without getting in trouble, how to get to a specific statement, make sure to get all of the key notes across and heard, etc. And she nailed it all, but I was more so compelled because people were also asking questions about the show Pretty Little Liars that she plays on. Unfortunately, I had never watched the show but definitely have heard of it. Thanks to Netflix, I was able to watch an episode later that night. Now if you don’t know “PLL,” it’s a mystery teen drama centered around high school and all the drama that it comes with it. I had never been in a situation to meet a famous actor or singer (not seeing or hearing what they’ve done), and then watch their work after meeting him or her. Lucy was my first. In the first episode, Lucy makes out with a cute guy, whom she then later finds out he is her new high school teacher. #drama. My reaction was surprising because I felt surprised/uncomfortable to see my new friend make out in front of me. Definitely bizarre, but she definitely did do a good job. Great make out Luce! Haha. Anyways, back to the earlier that day. We had a dozen interviews that day and then traveled to a local high school to see the a cappella group perform with Lucy and their own pieces of music. This routine itinerary would happen in each city throughout May-June. It was great to see each school and how everything is run there, but it was another thing to see everyone awe after Lucy. I mean, she is incredibly talented and I am just so happy to have shared that important platform with her. The overall experience was truly inventive and inspiring. Everyone apart of the team was great to work with, and it’s now so great to see the end product: The PSA! Check it out below to see the powerful Public Service Announcement on meningitis that I was part of with the wonderful Lucy Hale. Go to the Photos page to see more pictures from the campaign tour or click here. One year later, and I still can get butterflies in my stomach thinking about my experience during commencement ceremony. From the grand, yet long speeches at times, to the celebration with family and friends. It all flew by so fast, and here I am a year later. I know I should have posted about this a long time ago, but hey! Late, is better than never. I hope you were able to look at the video I just posted. On graduation day, I brought my Gopro (tiny video camera) with me to the ceremonies because I wanted to remember what the whole day was like. I brought it with me back stage where the students were gathered, waiting to walk anxiously; I had it with me as I walked to graduate, and during the University-wide commencement ceremony where President Bill Powers gave a very rewarding speech about me as a student at UT. When I fell ill to meningitis, I wasn’t even able to enjoy a full semester at UT yet. It’s bizarre to look back at my college experience and consider the fact that I was a “disabled” student for the majority of the time. I don’t and I’m sure many others would agree with me in saying that, I don’t feel handicapped. I live my life everyday with passion and drive, and look forward to what comes next. It’s most important to take your best step forward in any situation, and that’s what I did when I was recovering from meningitis. As a college student, I went from a confident young lady that would strut her stuff on campus while listening to her favorite tunes, to a very frail, partially bald, unequipped student in a wheelchair. My self-confidence was at an all time low, and yet, I still decided to put my best foot forward (or best push). Meningitis is an awful disease where it’s rare to survive and I survived it! Yes, I nearly died and had some amputations, but my life kept going and I didn’t let it stop me from prevailing in college. As college students, you’re at a higher risk of getting the disease due to the behavior (sharing drinks, cigarettes, kisses) and how it’s passed (saliva secretions), which is why I am so grateful that the Jamie Schanbaum & Nicolas Williams Act was passed to protect students from this disease. As a new college student, I felt invincible without really thinking it, and then all of a sudden my life was turned upside down and I had to put school on hold. Despite these slight setbacks, not only was the bill passed and I was able to pursue a competitive cycling career as part of the US Paralympic cycling team, but also I was really able to enjoy my remaining years as a college student. Yes, I had to learn how to walk on prosthetics and how to use my hands, but I was able to have a normal college experience; From long nights of studying to long nights of parties, and making friends, and dancing the night away with them. There is so much to be grateful for, and I know it now more than ever. Life is precious, and it’s important to know not to take it for granted. I’m appreciative for the life I live everyday. Limb Loss Awareness Month and World Meningitis Day! With this month being Limp Loss Awareness and with World Meningitis Day coming up, there is so much to celebrate. First things first, I am very grateful for the life I live, even on prosthetic legs! As traumatic as it is for someone to have their limbs amputated, it even proves to be a bit more challenging to recover from it. I felt trapped in my own body when I was in the hospital. Physically, mentally, and emotionally. This was something I could not escape. My path to recovery was similar too. Sure enough, I was able to become independent on my prosthetics. At the time I was in college, and to walk back on campus was truly fulfilling. I also lost my fingers back then, so to take notes again in class was something that I was excited to do, when originally these were things that I took for granted. People, who live their lives as amputees, are everyday average humans but we have a little something extra special. Limb loss isn’t something to fear, it’s something we over come and we conquer on a day-to-day basis. We are unique individuals who have adapted in ways that most people can’t fathom. We are today’s super heroes. Now with World Meningitis Day coming up, it almost feels like it’s my time to shine and spread the awareness! I’ll be in New York City and hopefully you’ll catch me on the TODAY show, waving my arms in the background promoting WMD! As always, I encourage everyone to go and speak with their primary care phsycian about the meningitis vaccine as a way to be proactive! Meningitis is a truly deathly disease and is something that you don’t hear about often, however when you encounter it, you will have a hard time forgetting it. Meningitis is a fast killing disease that is known to typically killing an average healthy individual within 24 hours. While rare to catch the disease, it is even more rare to survive and those who survive are more likely to be permanently scarred and/or disfigured. This disease heavily defines my life story but more importantly, I survived it. Trust me, meningitis is a nightmare that you can’t wake up from. Don’t wait, vaccinate. When I first transferred to the University of Texas at Austin I was so excited and definitely was not considering any precautionary steps for my health. In fact, that might have been the last thing on my mind. I was the average college student, studying for a highly reputable education while also having fun in my spare time. Being invincible. Within three months of my first semester at the University, I contracted meningitis and was in the hospital for over seven months where I had to endure amputations below my knee and all of my fingers. Definitely something that most people at the age of 20 don’t deal with but I had to face the world again but as a slightly different person. Within time I was able to overcome this obstacle, and head back to school but only with a new determination; To make sure people are aware of what this disease can do, and that there is a vaccine available to prevent it. Today I still continue to pursue the awareness of meningitis and vaccination because I do not want anyone to go through what I did. On this day, being World Meningitis Day, I encourage everyone to speak to his or her primary care physicians, and ask about the vaccine as a way to be proactive! But more importantly on this day, I find it imperative for middle school, high school, and college students to have their (booster) vaccinations as that extra precautionary step to feel invincible in their own lives. Happy Limb Loss Awareness Month and World Meningitis Day! At the nation’s capital, Jamie Schanbaum & and her mother met with 8 month old baby Audrina & her mother to discuss the importance of access to medical care for children. Commencement happens every spring (and every fall, for that matter), but the ritual is no less meaningful because of its frequency. Celebrating years of cramming for finals, discovering new passions and bonding with lifelong friends never gets old. And when it’s University of Texas at Austin students we’re talking about, the future is even more exciting than what has come before. There’s a reason we say What Starts Here Changes the World. On the evening of August 25th we will honor a very special young woman – one who has accomplished much for young adults nationally. Our honoree, Jamie Schanbaum, granddaughter of Dallasite Gene Schanbaum, college student, survivor of meningitis, and subsequent amputee has become a leading advocate for legislation to make the meningitis vaccine mandatory. Diseases like Jamie’s and many others diseases are faced by young and old every day at Hadassah Hospital.